Cardi B is in the process of making her catchphrase “Okurrr” legally hers by trademarking it. The rapper filed an application to trademark the word earlier this month with the United States Patent and Trademark Office, specifying for use on “paper goods, namely paper cups and posters”. According to the application, which lists Cardi B’s cosmetics company Washpoppin Inc as the owner, the trademark would also apply to “T-shirts, sweatshirts, hooded sweatshirts, pants, shorts, jackets, footwear, headgear, namely hats and caps, blouses, bodysuits, dresses, jumpsuits, leggings, shirts, sweaters, and undergarments”. 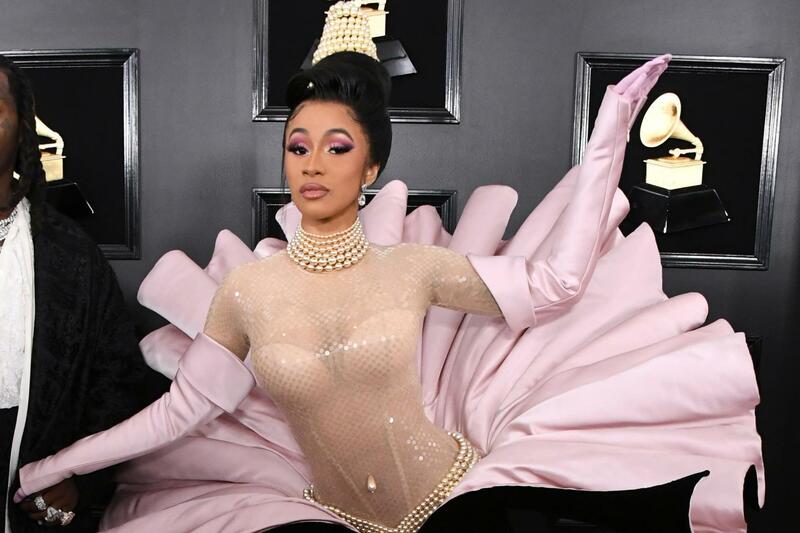 And the Money rapper didn’t take any chances when it comes to her catchphrase, as Rolling Stone reports Cardi B also filed an application for “Okurr” with two R’s. The Grammy-award winner previously explained during an appearance on The Tonight Show that the sound is like “a cold pigeon in New York City” and can be used in place of “okay”. The now-recognisable sound was also the focus of Cardi B’s Super Bowl Pepsi commercial. Under the trademark, “to the best of the signatory’s knowledge and belief, no other persons, except, if applicable, concurrent users, have the right to use the mark in commerce, either in the identical form or in such near resemblance as to be likely, when used on or in connected with the goods/services of such other persons, to cause confusion or mistake, or to deceive”.